Brunschwig and Fils Decorative Designer Pillows in Oatlands epingle with luxury Scalamandre velvet, custom design your personal decorative pillows. Enhance your home decor style with this elegant set of decorative throw pillows in an exquisite French velvet epingle fabric. The Brunschwig velvet is a wonderfully designed and crafted fabric while the Scalamandre velvet is quite plush. 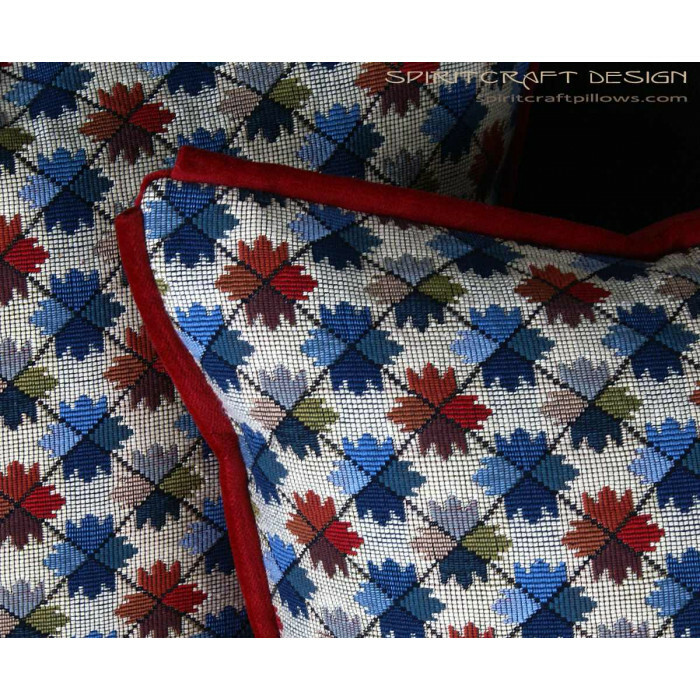 These hand crafted throw pillows are adorned with your choice of self corded trim or matching Kravet Design cord trim. 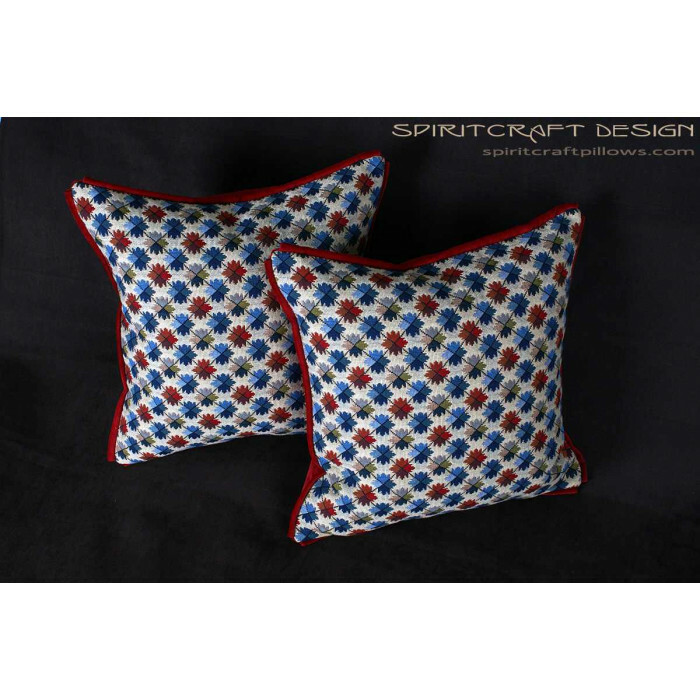 These designer pillow are transitional and will enhance both traditional and contemporary interior design styles. 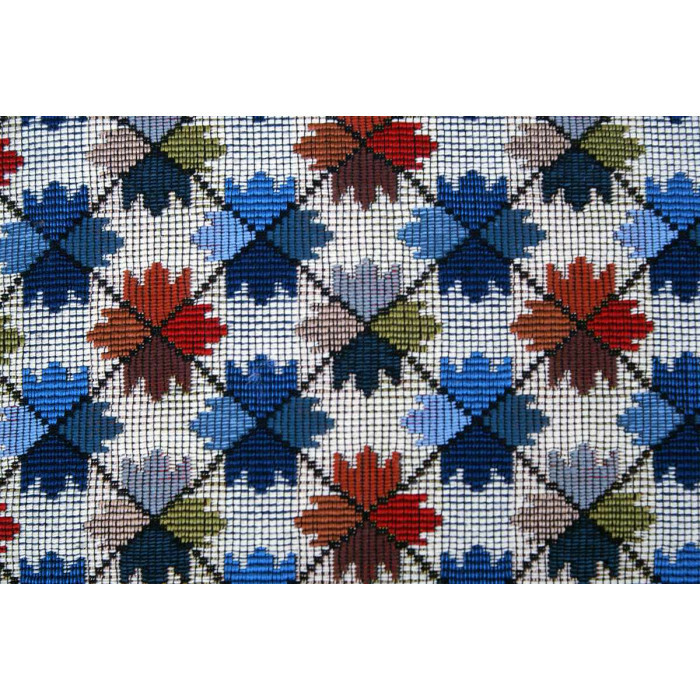 See this wonderful fabric for sale by the yard for upholstery yardage. Pillows Size: See choices, if you want something a bit different though, contact us. Draperies, Valance's & Custom Bedding available: Perfect for Upholstery! For trim options, choose from self cording or cord trim. You can also choose your pillow insert of a high-quality hypo allergenic, a down and feather blend or our heirloom quality 550 fill power pure European Goose Down trim. 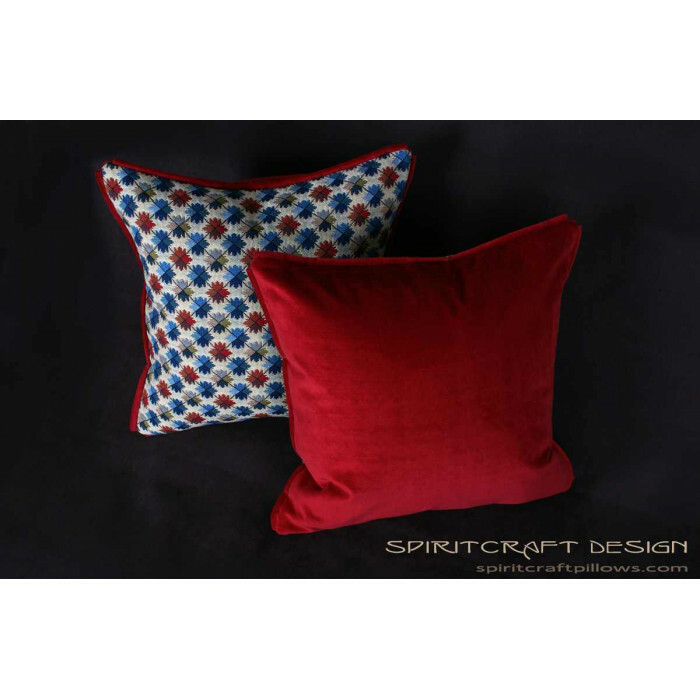 Our decorative pillows are handcrafted by Spiritcraft Design, exemplary pillow designers and craftsperson's. 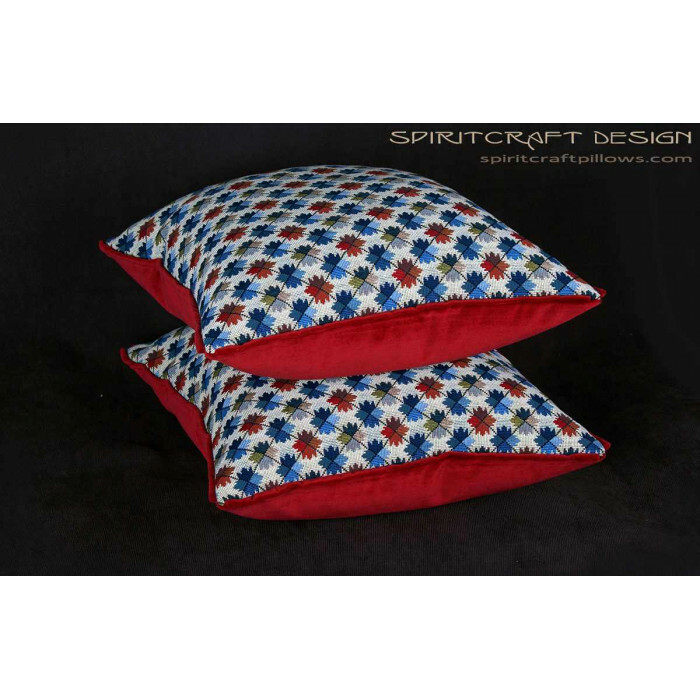 Design, create and craft decorative designer pillows virtually with Spiritcraft Decorative Pillows to enhance your personal home decor style. One word, quality. 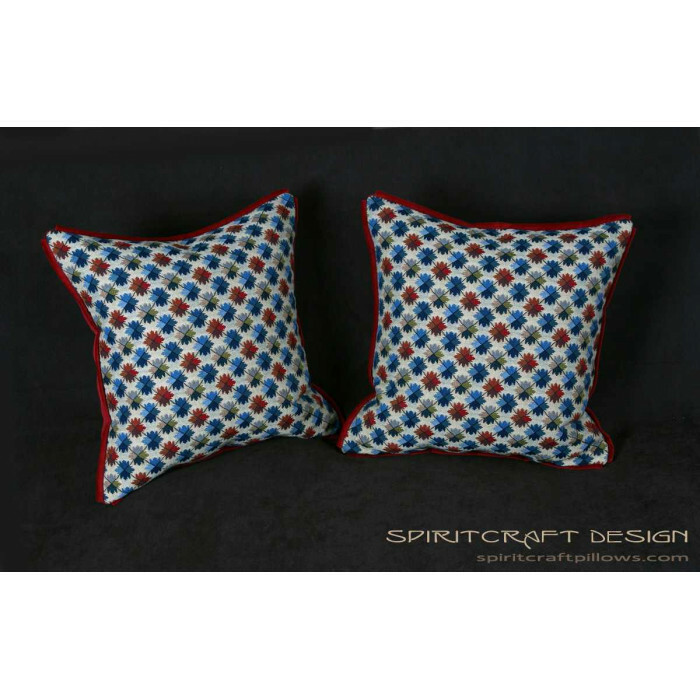 Our Designer Pillows are personally handcrafted at Spiritcraft Design Pillows in their Crystal Lake, Illinois and East Dundee, IL fabric workrooms. 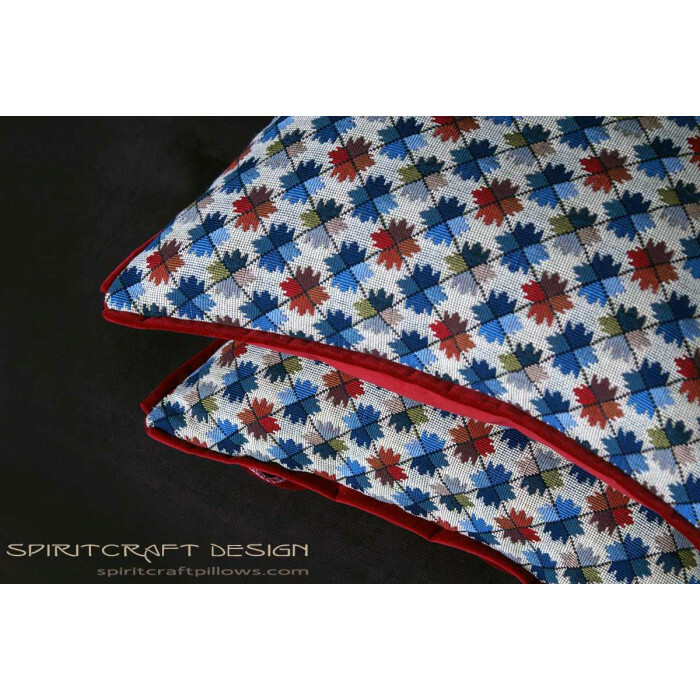 Our decorative pillows are 100% exclusive and all original designs that are imagined, designed and personally handcrafted with passion, heart and "spirit" in the USA. The designer fabrics, fabric trims and pillow inserts have each been selected for quality and to allow clients the finest options available. For pillow inserts, please choose from our wonderful hypo-allergenic down alternative, our 90/10 down and feather or our unique, heirloom quality 100% European Goose Down. Our designer pillow clients are both local and national and we have hundreds of satisfied individual home decor enthusiasts, interior design professionals and set designers that will now only accept the quality we provide to them.